I grew up a huge fan of Spaghetti Westerns, and particularly Sergio Leone’s bloc buster westerns. Back then, I was more interested in the gun slingers and the action rather than the underlying messages that celebrated the man against the system, or the noble idea of the small man rising up to challenge injustice and exploitation by the rich greedy capitalist. Films like For a Few Dollars More, A Fist Full of Dollars, The Good the Bad and the Ugly and Once Upon a Time in the West. These Italian Westerns captivated the Jamaican movie goers than any other Western film at the time. The actors had become legends on the mean streets of Kingston; names like Clint Eastwood, Lee Van Cleef, Charles Bronson, Henry Fonda, Gabrile Fezetti and Franco Nero were the big stars and all the adults knew the names like they were best friends. 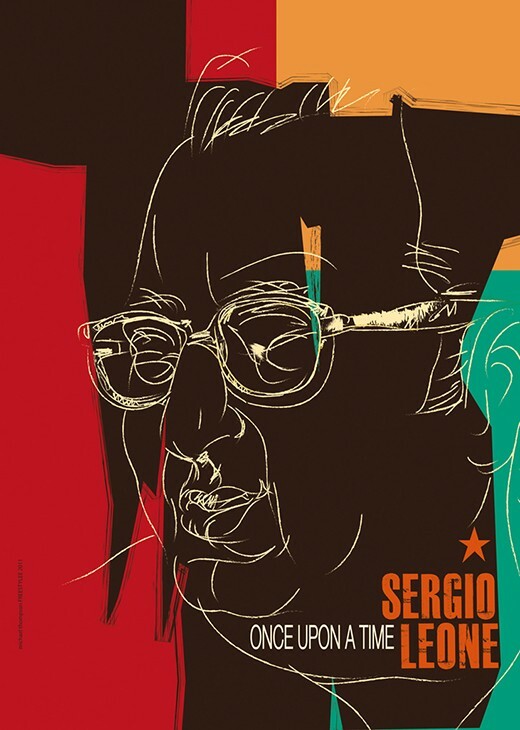 I was only a kid and the artistic value of Sergio’s films had eluded me. I could only have visited the movies when my cousin, an avid movie goer would drag me along. Yes, I was too young to recognized Leone’s visual style, offbeat sense of humor, and his elliptical way he told his stories. I now know they were more sophisticated than the American glorified westerns of singing cowboys. In Kingston, Jamaica, these Spaghetti films played out on the big screen week after week, double bill and triple bill movies were dished out on the silver screen to a very animated and boisterous audience. The audiences would watch the movies as if they were actors in the movie; dodging bullets and urge on their “star bwoy” hero and cursing the bad guys as fools. Open air theaters that borders the shanty towns and working class communities like Trench Town and Jones Town had movie houses with big names like Ambassador, Queens, Majestic, Palace, Rialto and Tropical theater. Many Jamaicans at the time could recite word for word of their favorite “Star Bwoy” as if they studied the script themselves. It was not unusual to have a fan tell the entire movie with sound effect to go along for the imagination. These westerns were so popular that Ska and Rocksteady musicians at the time would make songs singing praises of their favorite Spaghetti stars like Lee Van Cleef. I am still a big fan of Sergio Leone’s films and have added Once Upon a Time in America to the list. I now watch Sergio Leone’s films through a different viewfinder, appreciating and admiring this creative genius. An Italian mastery of visual story telling.